Sarah has a rare chance at a new life. That’s what the doctors tell her. She is undergoing a cutting-edge procedure that will render her a tabula rasa—a blank slate. Her troubled past is being removed memory by memory. But when her final surgery is interrupted and a team of elite soldiers invades the isolated hospital under cover of a blizzard, their mission is clear: wipe Sarah out of existence. Why would they bother with a teen delinquent unless there’s something more to her past? Something someone doesn’t want to ever see the light of day? Familiar halls become a dangerous maze as Sarah teams up with a computer hacker who’s determined to bring down the hospital for his own reasons. The two try to piece together who she is and why someone wants her erased. And this time she won’t be silenced. 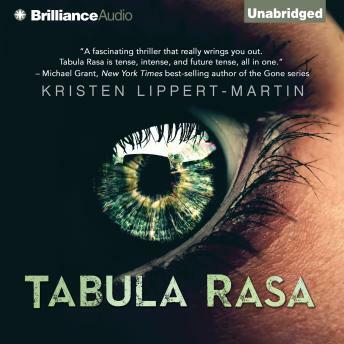 A high-stakes thriller featuring a nonstop race for survival and a smart heroine who has nothing left to lose, Tabula Rasa is, in short, unforgettable.